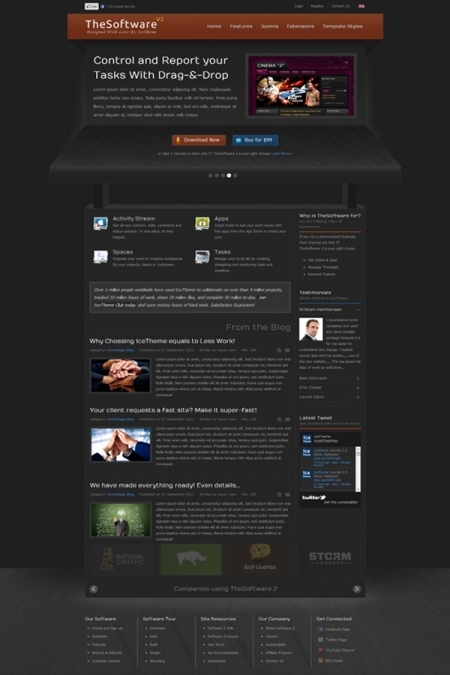 IT TheSoftware 2 - great template for joomla from the famous studio IceTheme. Every detail in the pattern worked out with great care. The template is ideal for websites, portals, has 6 color schemes and 34 modular positions. IT TheSoftware 2 includes 4 modified proprietary extensions studio IceTheme (IT IceTabs, IT IceMegaMenu, IT IceCarousel, IceAccordion) and plug IceSpeed, which speeds up the download site by compressing CSS and JS files.